We have a question for you – have you ever tasted something more delicious than chocolate? Have you ever tried a finer, sweeter and life-asserting thing? Well, if you, like us, are fans of this magnificent wonder, we have a proposition for you. Meet TT Chocolates font family – a modern geometric grotesque sans-serif which was created especially to help you create something different, something elegant and fashionable. A typeface that is a dessert itself! It is your perfect choice for producing a fancy package, a special luxury design, an unforgettable menu, unique corporate design, interesting brochures, modern urban signage, all kinds of advertising and commercials, etc. No matter what of these will be your project, the typeface works equally well in printing, websites and mobile applications. 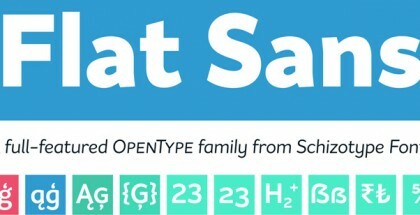 TT Chocolate, being a contemporary typeface, offers plenty of choices to its users. It comes in five weights – Thin, Light, Regular, Bold and Black, each with its true Italics. Each font contains 410 glyphs with a very rich language support for Basic Latin, Central European and Baltic languages, Turkish, Romanian and masterfully created Cyrillic. TT Chocolates is designed by the Russian designer Ivan Gladkikh and his St. Petersburg based TypeType foundry. Although it was founded relatively soon – in 2013, the foundry has rapidly gained momentum and is already a well established and famous name in the type design world. There is one specific feature in Ivan Gladkikh manner of work that makes his fonts very successful – while designing them he works in close co-operation with designers from all around the world – something that makes them quite universal. 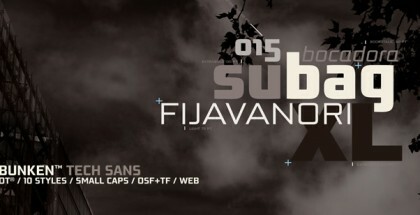 Here is another nice font that will help you further evaluate his great qualities – TT Russo Sans. Get TT Chocolates and make your project sweeter!